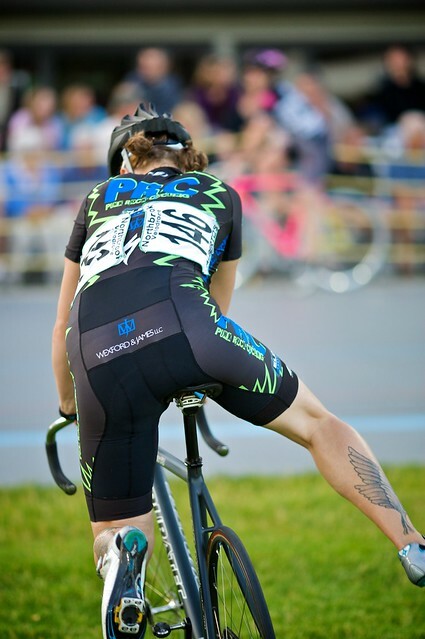 Cyclo-cross Dismounting and Remounting Made Easy – Team Monster Truck p/b Hub Bicycle Co. Okay, so this article won’t make it easy, but giving it a go, getting some practice, and finding what works best for you will make your dismounting and remounting second nature. A good remount is fluid, fast, and appears effortless. A bad remount is clumsy, slow, and sometimes painful. People have unique approaches to this topic, and it really is more art than science. There are different methods, and we’re not here to debate them, but rather to present the most beginner friendly and easiest way to get yourself around a race course without ending up in a meme. 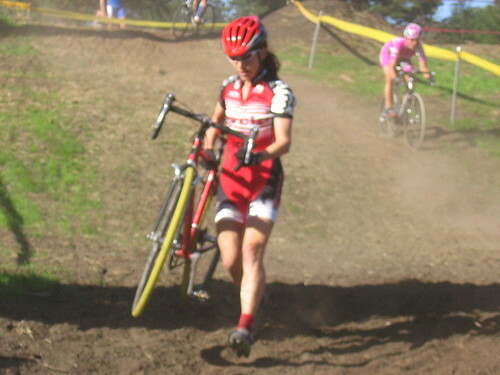 Well before your anticipated dismount, unclip your left foot at the bottom of a pedal stroke. This isn’t a huge motion – just a quarter turn to disengage the cleat, then rotate back. Your foot shouldn’t need to leave the pedal. After unclipping, the pedal should rest comfortably in the arch of your foot. Ride around in the grass practicing this move until you can do it consistently, and practice riding and corning with it unclipped. Clip out of the right, again at the bottom of the pedal stroke, shift all your weight to the left pedal, and swing your leg across, bringing the right foot around the back of the bike. 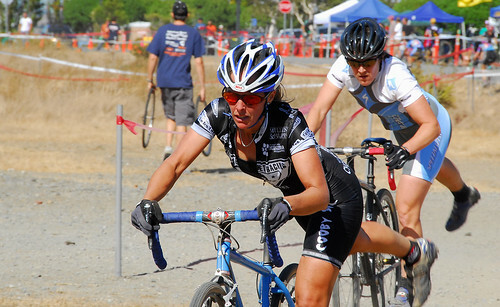 Move your right hand from the hood to the top tube, a few inches in front of the seat post. Step of the bike, with you right foot striking the ground first. For barriers, try and wait until you’re only two steps away. This takes practice, so find an open area (or our cross practice) and experiment. Don’t drop the bike – place it down. You can’t remount a bouncing bike. it is most important to make sure that the bike is under control before you jump on. Set it down gently and straight, then get both hands on the hoods securely. Begin from a walk and work your way up to a run. The step onto the bike is just one big step, with your leg going over the saddle the way a hurdler goes over a hurdle. It’s not a jump. Your inner thigh should contact the saddle first, then slide down before settling on your saddle. If your wedding vegetables hit the saddle first, you’re going to have a bad time. As your leg comes over, make contact, right foot to the pedal. 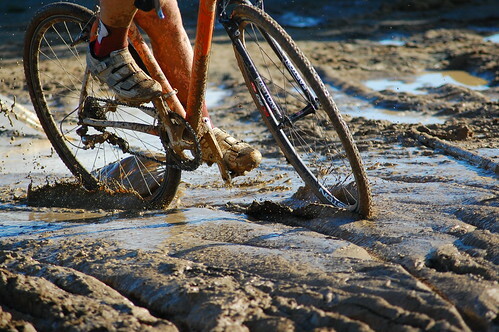 It’s okay to look for the pedal, and it’s okay to not clip in yet. Then, find your left pedal and go! Clipping in with the motion will take some practice. 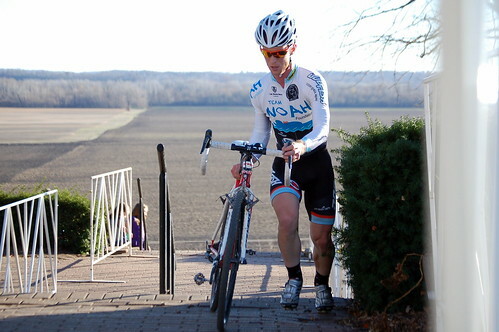 It’s more important to find those pedals and get forward momentum than it is to clip in immediately. Here’s a remount with fireworks. Note that the cadence doesn’t change as the leg comes over the bike – it’s one big step regardless of speed. So, with these tips, grab your bike and give it a go. Start slow, focus on technique, and speed will follow.